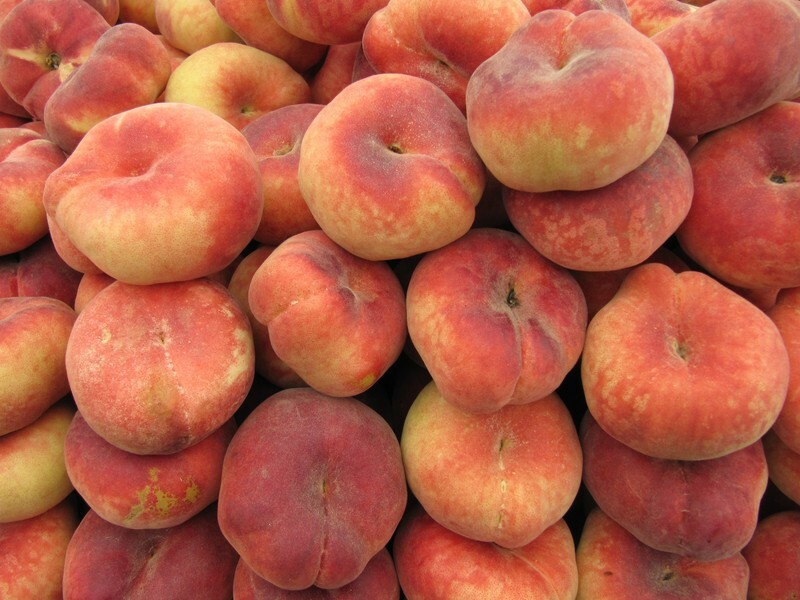 Summertime is the best season to enjoy fresh peaches so be adventurous and try the Saturn Peach. Small (about 3 inches across), flat and less fuzzy than the standard peach, the Saturn Peach has a very thin red and yellow skin. Sweeter than a typical peach…and never dry and mealy – the Saturn Peach is a healthy delicious snack best enjoyed in its natural freshly picked state. Harvested from late Spring through the Summer, the Saturn Peach is gaining popularity among farmers (because it’s easy to grow and bountiful) and peach fans (because the texture is juicy and the taste is scrumptious). The Saturn peach is also known as the “Ugly Peach” or the “Donut Peach” in the United States. Although the Saturn Peach is not the most attractive peach in the world, it’s important to overlook the exterior appearance because what the peach lacks in looks is more than made up for in taste. No need to peel this peach as the skin is thin and has so little fuzz that no dry aftertaste exists but for those that do prefer their peaches without skin, the paper-thin skin is easy to peel off. The tiny pit doesn’t cling to the meat of the fruit which means the Saturn falls into the “freestone” category – an attribute at the top of the list for those that like to eat their peaches whole. Available at most grocery stores, the Fresh Market, and Whole Foods, the Saturn peach is sure to please the most passionate peach connoisseur.